The Sopranos is a great theme for a slot game, but I just find it weird why they waited two years after the show stopped being aired to release it. Surely there would have been more value getting it out there while it was fresh in people’s minds, but what do I know…. Anyway, there has been a succession of Gangster-themed slots released in recent years, such as Net Ent’s Scarface and Betsoft’s Slotfather. I can see many more to come, because everyone appreciates a convincing bad guy. In any case, if you're a big fan of the classic HBO series which starred the late James Gandolfini as a troubled Mafia boss in New Jersey then you'll love this. 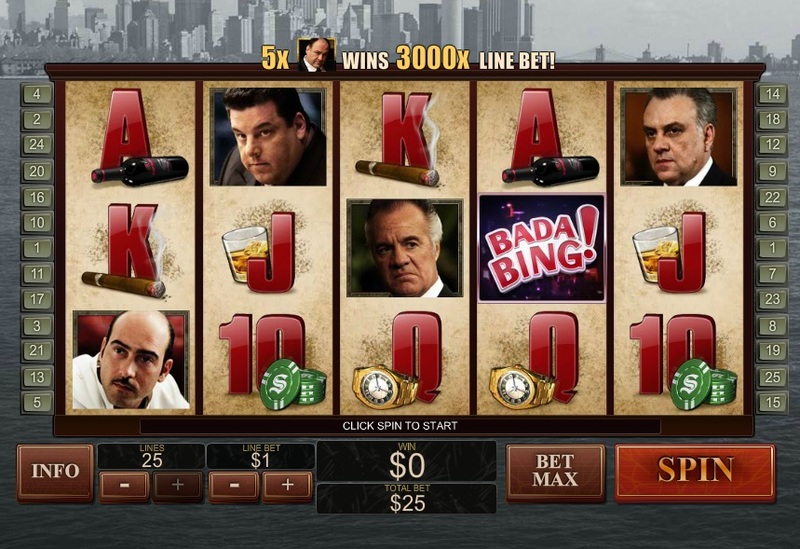 Playtech’s Sopranos slot is certainly packed with bonus features. In fact, there are four very different features here. However, not all of them are worth mentioning. Probably the most rewarding is the Crime Family free spins feature, which instantly reminds me of a similar feature in Microgaming’s Thunderstruck 2 slot. The reason for that is because you unlock different levels the more times you trigger the feature round. You will get rewarded a number of free spins with an extra feature, such as a dynamic multiplier or extra wilds. The Stolen Goods bonus is a pick ‘em bonus, which involves picking from 10 containers to reveal cash prizes. It is triggered by landing a container symbol on the first and last reel simultaneously. You get up to three picks, but you can take any of the rewards offered. If you wait until the third and final pick then you get whatever reward it gives you. There are clips from the show throughout this bonus, which are pretty cool if you are a fan. There is also another very similar bonus called the Bada Bing bonus. 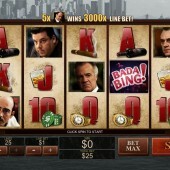 You pick a character and you will get a short clip of the Sopranos and a cash prize. The random bonus is not really worth mentioning. Hide the cash from the cops and hope they don’t find it. It really is that simple and only pays a maximum of 8x. The Sopranos is a very entertaining slot game, but being a low volatility slot it means the big wins are never really that big. There is plenty of action, though, and we loved the fact there are some real clips from the TV series. It adds a bit of authenticity to the game. However, we are much more likely to play the superb Gladiator slot or even the not so well known Desert Treasure slot, as we prefer the bigger wins.